Mining is a diverse and can be a complex industry for investors to understand. In this article, we discuss the regulations that help provide investors with standard information and transparency. To learn more about general mining processes and investments, read our guide to investing in mining in British Columbia. All investors looking to invest in mining need access to accurate information. To promote consistent reports and industry transparency the Canadian Securities Administrators worked with mining experts to develop industry standards of disclosure. All Canadian mining companies (both public and private) disclosing scientific and technical information must adhere to National Instrument 43-101 (NI 43-101). The instrument ensures that companies disclose exploration information, mineral resources, mineral reserves, mining (engineering) studies and more, in a format that allows investors to compare companies and projects. It provides clear definitions of terms for consistency. Any company discussing their minerals project must follow the rules outlined in the Instrument. You can find National Instrument 43-101 on the BCSC’s website mining page. 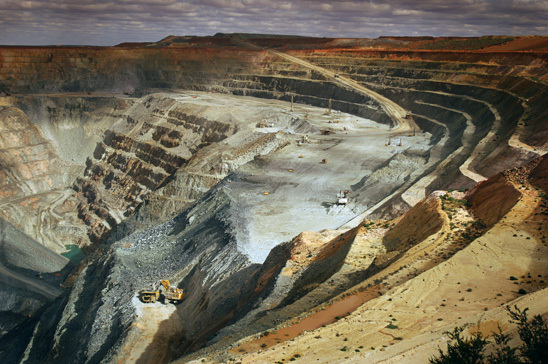 Technical reports reveal information about a company’s mineral projects. They fall under NI 43-101 and its technical report format known as “Form 43-101F1” which helps ensure that disclosed information is complete and easy to read and understand. There are two types of technical mining reports, early stage exploration property reports and advanced property reports. NI 43-101 contains specific requirements for the contents of each type of technical report and instructions on what information must be included. All mining companies must file their technical report on SEDAR, where they are publically available for free. Always consult with a registered investment advisor before making investment decisions. Every investment has different risks you need to consider. An independent geologist, lawyer, or accountant may also be able to help you identify the risks of mining investment. Who Should You Contact if You’re Approached by an Unregistered Company or Individual?